Dyson is everything one hopes for in a well-trained, strong German Shepherd dog. He is a dark sable Czech import, born in 2011. Dyson is a NWPDA certified Police K9. As a sire, he passes exceptional genes to his offspring and is very much sought after for the high quality pups he produces. 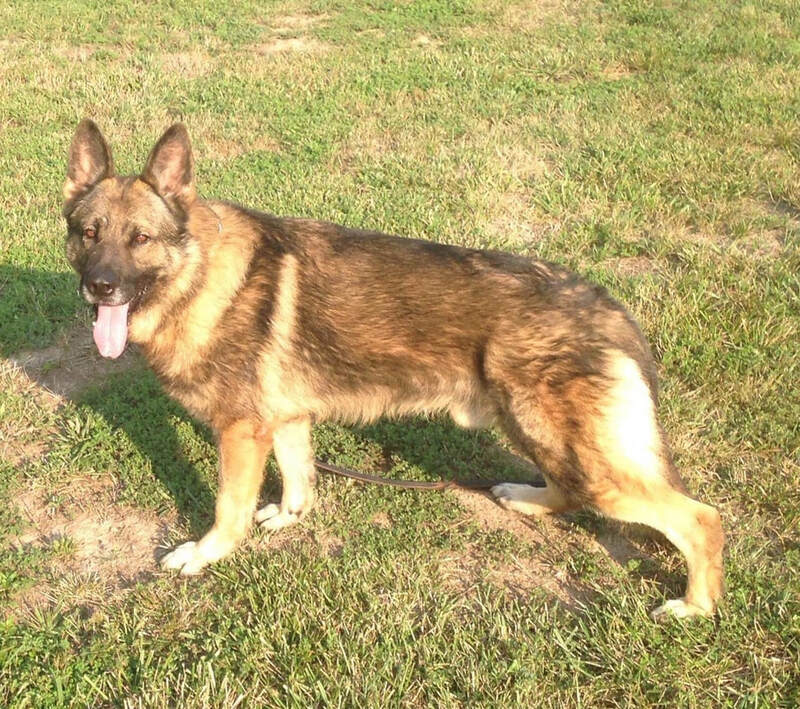 Ewo is a handsome sable male, imported from the former Czech Republic. He has already produced champion litters when bred with quality females. We are proud to add Ewo to our select group of breeding animals. Britny was imported from the Czech Republic three years ago. Even at the airport, her calm demeanor and intelligence were evident. She has her SVV1 title (the Slovakian equivalent to IPO1). She has been bred to Dyson Benax and produced two exceptional litters, passing down her calmness, intelligence, and strong drive to each of her puppies.